Welcome to my world. 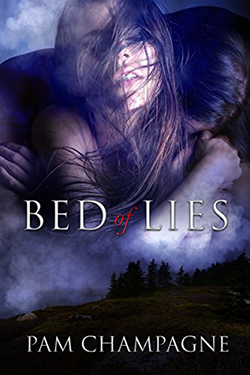 A world of romance, laced with suspense and sometimes even the paranormal. Linger as long as you like. Feel free to send me an e-mail. I'd love to hear from you. Ace Bear has no love for the small coastal town of Spruce Harbor, Maine. When he returns as a DEA officer to investigate a cocaine ring operating in the area, he is forced to confront the woman he loved twelve years ago. Even though he believes she betrayed him, the ties between them remain strong. Brenna can't believe the man who deserted her years ago has the nerve to show up in Spruce Harbor and act all innocent, as if he didn't destroy her world. When she finds out why he's returned, fear for her brother forces her to cooperate with his investigation. As layers of lies are revealed and they fight for their lives, Brenna and Ace try to recapture the love they once shared. But they'll have to learn to trust each other again, and there's a ruthless killer out there who is ready to end their second chance. 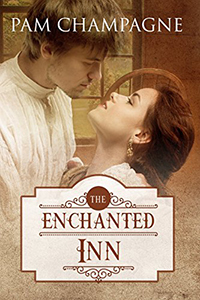 When snow forces Gina to stop and spend the night at the Enchanted Inn, she's less than happy to find her ex-fiancé there, too. But she can be civil for one night, especially after the innkeeper gives them a bottle of homemade wine to share. A few glasses of that wine sends Luke and Gina back to 1778, where Luke seems to think he's someone called John -- a man who knows more about life in colonial times than he should. Gina may be able to deal with the hardships her new reality throws at her, but she doesn't give up hope of finding a way home. And when she does find a way, she's determined to take John with her -- whether he wants to go or not. FBI agent Joe "Hawk" Hawkins is on the run. He's been framed and the only chance he has of clearing his name is in Eagle, Alaska. 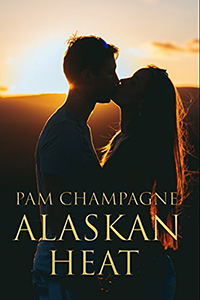 Just when he thinks he couldn't be in any more trouble, a woman from his past catches up with him. Sophie's a brilliant statistician who works for the agency. She's still ticked off about their disastrous one-night stand, but she also has an offer for him�a deal he can't refuse. The fact that Sophie's first field assignment involves Hawk does complicate matters. She's never forgotten or forgiven Hawk for the night he found his way to her bed and left her wanting more. Now she has two objectives -- get Hawk to finish what he started that hot night, and get them both to Eagle alive. The Alcan Highway can be long and hazardous. But with a heat neither of them expected drawing them together, and two rogue agents on their tail, they might reach their destination sooner than they think. All content copyright © Pam Champagne. All rights reserved.